The fone is very Slow.his not support 3G .and the android virgin not updated for any date. This smart phone is outdated. But it was a good smart phone on his time. I used this phone last 2 year.. this phon looking good nd slim. but aftr 1 year phone is heated nd running slow.. always hanged.. nd whenevr u install or download high mb games nd app phone alwys showed tht u have not space or low storage. u cant play game like temple run, subways surfas.... This phon is not good but not bad also only for 1 year.... kindly request to all plz plz dont buy this phone..
this phone is very bad . this was my worst expereience with amobile company. Anonymous, 14 Apr 2013yes 3g how many make a 3g plz tell me. hi friends..!!! don't buy this mobile.it is really worst. does not have battery backup,low internal storage.I realized whether its a mobile or not????? poor camera. other wise k for a low budget phone. 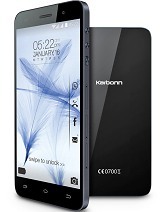 battery almost dead with in 1 yr.
Total of 215 user reviews and opinions for Karbonn A4.